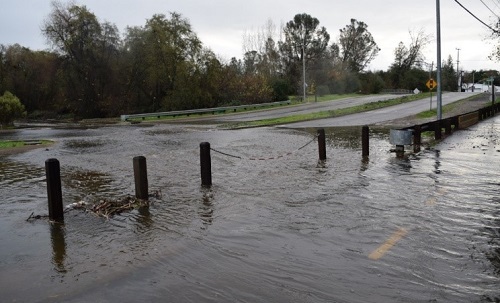 City of Folsom Flood Warning System Rehabilitation and Upgrade (CA) | WEST Consultants, Inc.
WEST Consultants provided professional services to support the City of Folsom in upgrading and expanding its flood warning system from legacy ALERT technology to ALERT2. These activities were performed, in part, under the “Flood Emergency Response Projects – Statewide Grant Round 2” program administered by the State of California’s Natural Resource Agency Department of Water Resources. WEST developed the grant application for the City to help fund the project. The work included an overall system evaluation and design, rehabilitation of existing legacy ALERT gages and upgrading to the new ALERT2 communication protocol, installation of two new rain/stream gages, implementation of a new computer data management system with a publicly accessible website, training of City personnel, updating the City’s emergency response plan, and managing public outreach to inform and educate city-wide users.